We've all been there: arrive in a grubby public rest room, realise there's nowhere to hang anything, and be faced by the grim experience of dropping your possessions to the grimy floor. 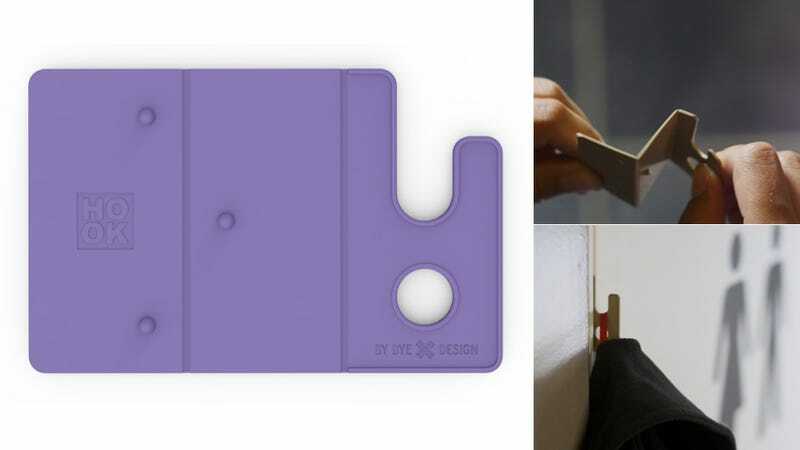 This folding hook could save you from that fate. Designed by Bjorn Bye, the Hook concept is a credit card-sized piece of plastic which folds in a Z-shape to fit between door and frame. When temporarily installed it acts as a hook, sturdy enough to hang 11 pounds of clothes and whatever other crap you have.